You might be just beginning to think about using video for Marketing or you might be figuring out just how much to spend on advertising. Either way, Uberflip has some very interesting statistics in their video infographic like: did you know 40 billion videos are streamed every month in the US alone? Or YouTube is the second largest search engine? If numbers about how many people watch online videos don´t convince you, then how about this: 53% say a YouTube video has influenced a purchase at least once. Convincing statistics like this can be found in ReelSeos article by Christophor Rick. In this article they also stress that most users interact with brands on social media, so might be time to start promoting through a Facebook or Twitter page. Title (should have at least 2 keywords). Description (make sure to include many keywords). Mark Robertson gives his tips in an article published by Reel Seo. He stresses to add a transcript for pages with transcripts earn 16% more revenue than they did before transcripts. He also points out that you can make your videos to be viewed on Facebook directly when someone likes your page. This gives your video more exposure and also makes that post larger on someone’s newsfeed which means it is harder to skip over. Choosing the right keywords can make or break whether or not your video is going to succeed. Keywords and tags are how each engines sort what type of video you have and connect browsers to videos and sites that fit what they are looking for. Without keywords and not just any keywords but the right keywords, getting found will be very difficult. YouTube’s Keyword Tool just gives you ideas of other keywords that are similar and might cover your topic, while Google´s Keyword Planner shows you how often a word is searched for and how competitive a word it is meaning how many other sites use the same keyword. Forbes published an article on the 10 Biggest Video Marketing Mistakes to Avoid that highlights that in order to succeed you need to create a quality video that addresses your topic in a simple, straightforward, and relatable. They also stress that you need to know your audience and how to go about selling your brand. The number one key is to remember that this video reflects your brand as a whole, so make it good! 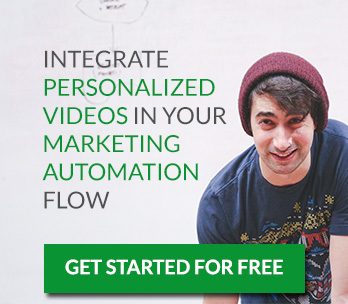 Joel Ackerman the writer of the Poo Pouri viral video advert talks about his tips for video marketing where he stresses choosing the right format for video for your topic whether it be a conversion video or an engagement video. He also stresses not to focus on making your video go viral; going viral takes time and won’t happen for everyone, but that doesn’t mean your video won’t be helpful. Pick What you want to say. Open Site Explorer is a search engine for links. It allows you to see who links to your site and videos or your competitors site. This can give you a better idea of your progress and how often your site has been shared and what type of sites have been sharing your site. This can give you a better idea of the demographic that you appeal to and from there you can adjust your marketing strategy. Marketing, Uncategorized, Web video landing pages, marketing mistakes, marketing resources, video marketing, video optimization tips, video seo, youtube seo. permalink.